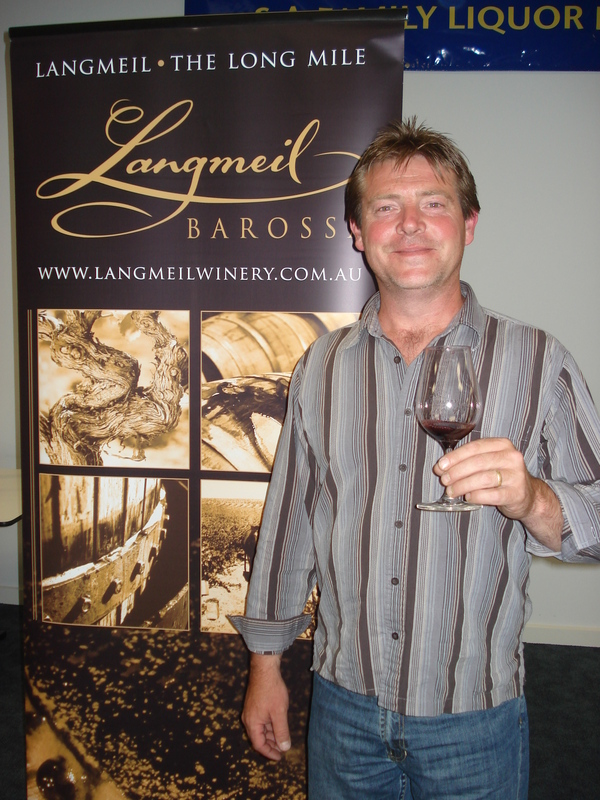 When friends suggested we attend a tasting of Langmeil wines in Adelaide this week I jumped at the chance. I immediately thought of the outstanding Jackaman’s cabernet and the ancient shiraz vines – the oldest in Australia and possibly the world. I counted down the days! The event was hosted by brothers James and Paul Lindner, Paul being the chief winemaker (pictured), James the marketing guy. Barossa born and bred and carrying on their family tradition of winemaking dating back to 1841 (the second oldest Barossa winery after Bethany), they put everyone at ease and shared stories and movie clips about the winery and vineyards. There were 11 wines to taste and Paul talked us through each one, with insightful snippets about the vineyards and winemaking techniques. For me he represented what great wine is all about – passion with humility, quality with restraint, letting the character of the grapes (not the winemaker) shape the wine. After a spritzig Eden Valley riesling palate cleanser we tried the GWH Viognier – Great White Hope – one of the challenges to the all-powerful New Zealand sauvignon blanc taking Australia by storm! On the nose was a slight smokiness – apparently from the yeast strain as it had seen no oak. The palate was soft, dry and slightly oily with a hint of tropical fruit flavours, good length and perfect acidity. Clean and savoury – next! The rosé was a pleasant surprise, made from cabernet sauvignon. A pretty dark pink it was aptly named Bella. A pleasing balance of red berry fruits, floral notes and a dry finish. Hangin’ Snakes is apparently a polite way of swearing! This shiraz has been partially fermented on viognier skins and gives a dry, savoury wine with a subtle lift from the viognier. 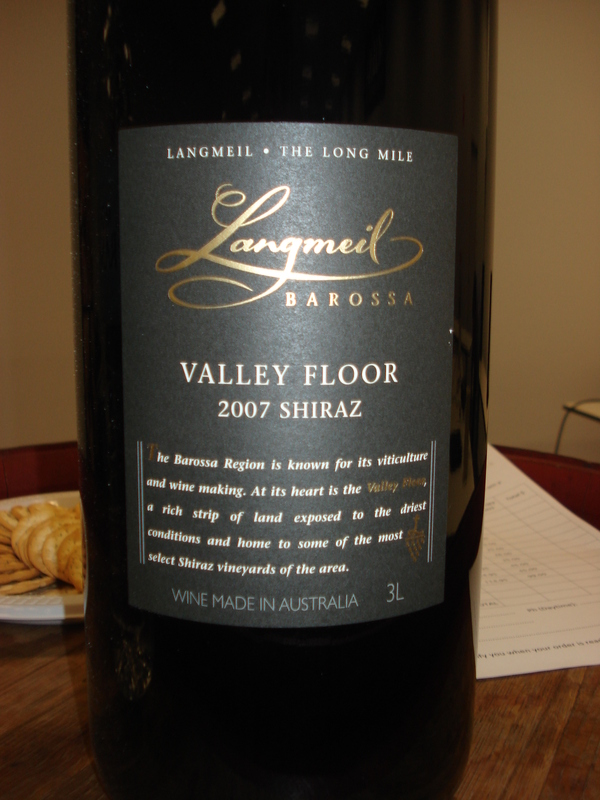 The Valley Floor was more generous on the nose with aromas of ripe berries and licorice, and a soft, rich mouthfeel with dark berry fruit sweetness and chocolate carrying through to a dry finish. A 2007, it was already showing some nice development and integration. The Orphan Bank warranted a video clip of its own – of the 140- to 150-year-old vines being transplanted one by one – over 300 of them – to a new site. Blackberry and mocha and lightly perfumed and respect to the orphan vines! The star of the night was always going to be the Freedom 1843 Shiraz. These vines are iconic and should be world famous. South Australia has some of the oldest vines in the world because it has not had any major outbreaks of phylloxera – the aphid that eats vine roots that wiped out vines across Europe, America and other parts of Australia. This wine is a little piece of history. It did not disappoint – the nose was deep and intense with chocolate and rich blackberry and a slight smokiness. It was pleasingly complex, with a perfect balance of fruit sweetness, dryness and savoury tones. The cabernets were both wonderful and very different. The Blacksmith was a garnet/ruby red maturing beautifully, a typical varietal, again in the dry, savoury style. The younger purple Jackaman’s was jumping out of the glass with fresh mint, berries, licorice and violets – a truly rewarding sniff! It gave flavours of juicy blackcurrant and mint, wrapped softly in grippy yet silky tannins rounded off with gentle spice. The two grenaches were chalk and cheese (or apple and egg as they say in Germany, so a German lady told me recently). The Three Gardens SMG was young and perfumed, a fruit-driven, lighter style of red with fruit sweetness on the palate and a little pepper and spice. The savoury finish rounded off a delightful wine that I would love to see given the chance to stay in the bottle for a few years. Then came the Fifth Wave Grenache – a dark dense black/purple. The nose made me close my eyes and breathe in deeply – delightfully rich with chocolate-covered cherries and vanilla, promising and delivering a soft, fruity, silky wine with deep, rich cherries and a lingering dry finish – and that’s me finished! My favourite? 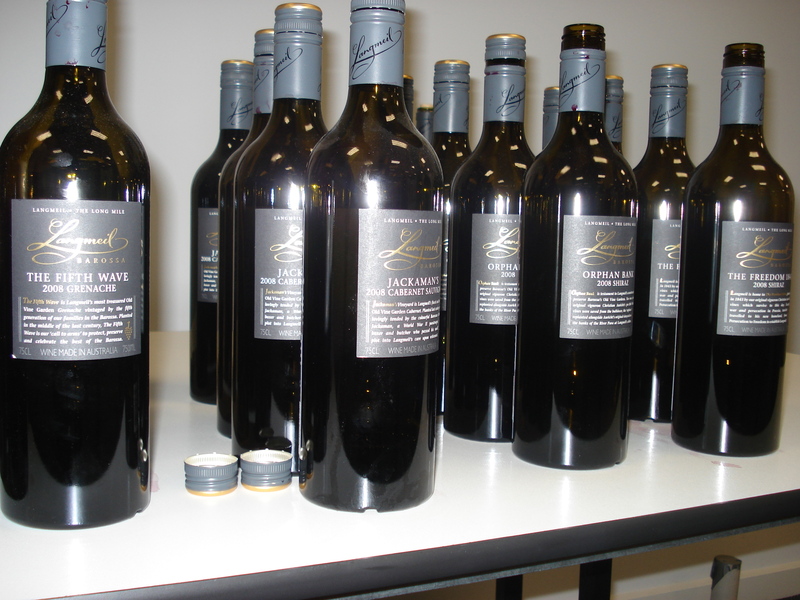 A tough call – fabulous wines for the money were the Valley Floor Shiraz and Blacksmith Cabernet Sauvignon. But I was as keen as always on the Jackaman’s and blown away by the grenache and of course the 1843 Freedom. It’s fair to say, you are safe whatever Langmeil wine you pick. This entry was posted in Barossa wine, Cabernet sauvignon, Grenache, New World wine, South Australian wine, Syrah/Shiraz and tagged Australian wine, Barossa, Langmeil, South Australian wine, Wine. Bookmark the permalink. Hey, you are getting good at this.